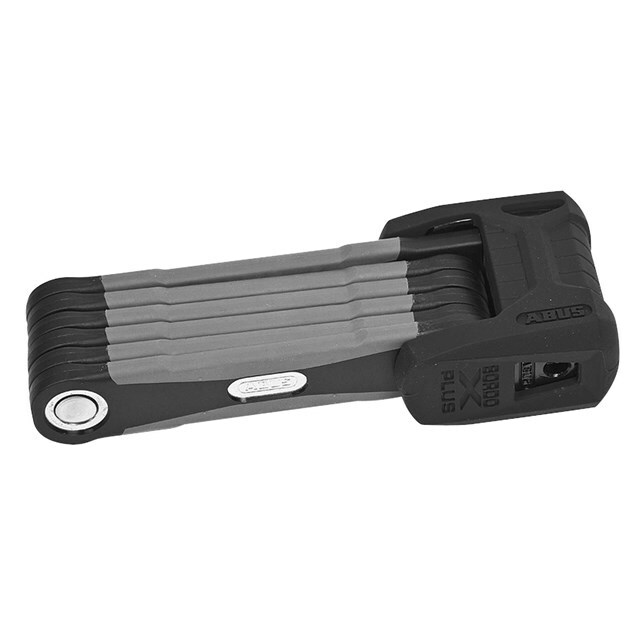 ABUS Link-Protection-Shield offers high-saw protection of the links. 5.5 mm steel bars with extra-soft, two-component coating to prevent damage to paint. Color-matching silicone cover for the lock body with soft touch properties. Link construction offers compact folding. Bars, links and case, as well as supporting elements of the locking system, are made of special hardened steel. 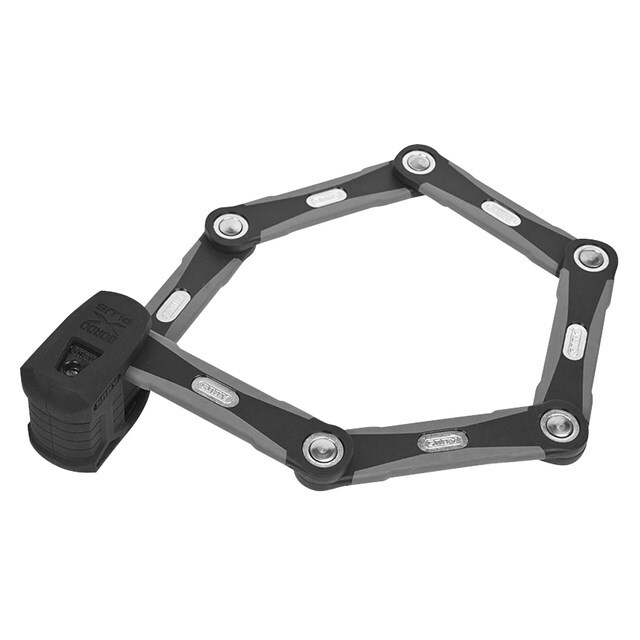 ABUS X-Plus cylinder for extremely high-protection against picking.